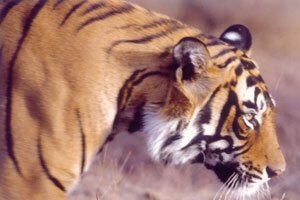 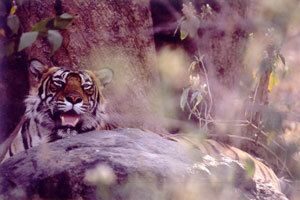 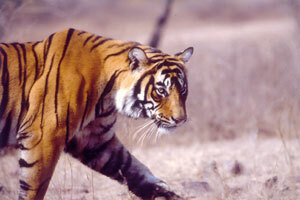 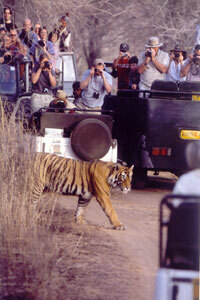 The prowl - Ranthambhore is one of the few places in the world where tigers can be seen in the open in broad daylight. 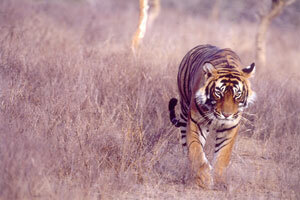 Stalking tiger- This young male tiger, called “Jhumru”, has become adept in the art of hunting in the lakes. 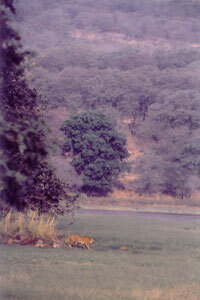 Elusive stripes - The tiger’s ability to “blend in” the forest background is absolutely amazing. 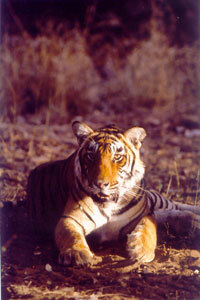 It is because of this that they have got a reputation of being elusive. 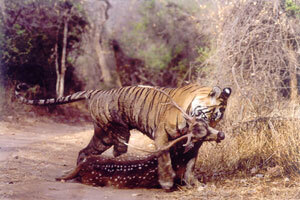 The drag - After making a kill, tigers would often drag the carcass to a “secure” place, where they consume it for the next few days. 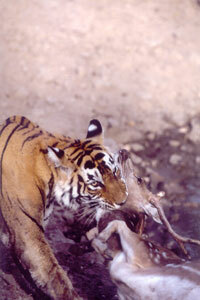 The kill - Tigers mostly choke their prey to death. 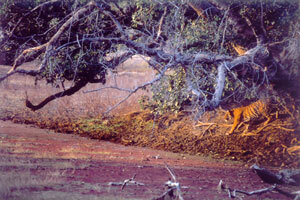 In this case the deer was still alive when the picture was taken.